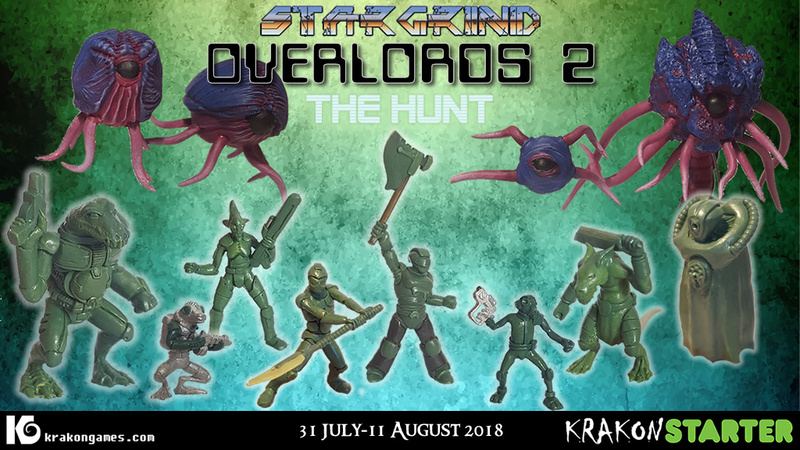 Krakon Games has run 10 Kickstarters, 5 within the Stargrind universe and 5 for Creatures. Stargrind is a science fiction setting and includes the Frills & Fauna, Scum & Smugglers and Overlords projects. Creatures is our fantasy world, which includes the Creatures of the Night (CotN) and Creatures Underground (CU) ranges. CotN is a fantasy spin on the Lebor Gabála Érenn. CU is a range of smaller models set loosely within the same world, having a bigger dose of fantasy. 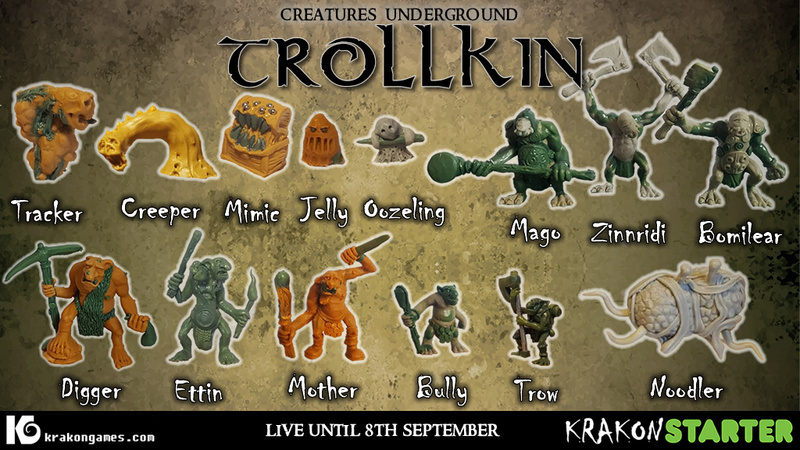 The elevnth project – Trollkin – was launched 31st August 2018 and was successfully funded. The tenth project – Overlords 2 was launched on 31st July 2018 and was successfully funded. The ninth project – Mykelings 2 – Creatures Underground was launched on 22nd June 2018 and was successfully funded and fulfilled. 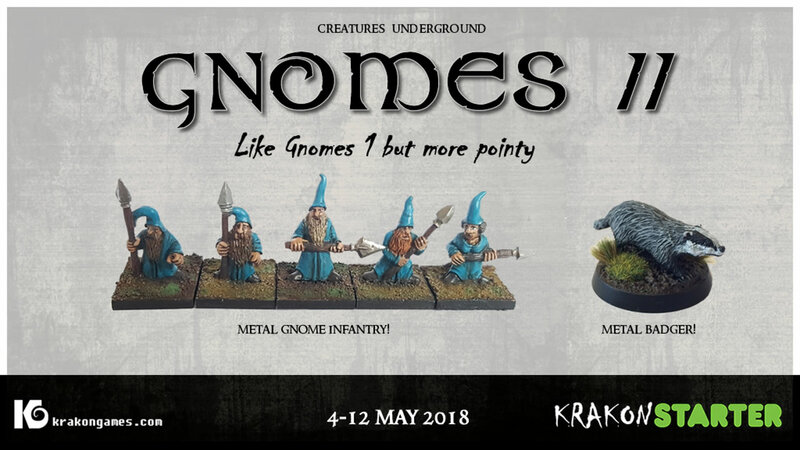 The eight project – Gnomes 2 – Creatures Underground was launched on 4th May 2018 and was successfully funded and fulfilled. The seventh project – Creatures Underground: Mykelings was launched 26th March 2018 and was successfully funded and fulfilled. The sixth project – Creatures Underground: Gnomes was launched February 2018 and was successfully funded and fulfilled. The fifth project – Wrath of Cichol was launched November 2017 and was successfully funded and fulfilled. The fourth project was launched August 18th 2017 and was successfully funded and fulfilled. The third project was launched March 24th 2017 and was successfully funded and fulfilled. The second Kickstarter was launched January 19th 2017 and was successfully funded and fulfilled. The first KG Kickstarter was launched on October 14th 2016 and was successfully funded and fulfilled.